Planning a bachelorette weekend or girls weekend at the beach? Maybe your planning a bachelorette party? We have a great weekend itinerary for your group or bride tribe that allows plenty of fun and down time too. 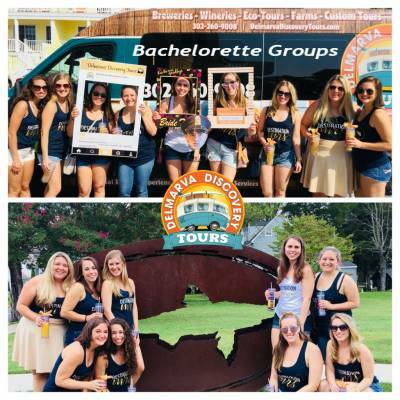 Choose from a 4 hour Craft Beverage Tour or Wine and Garden Tour with Delmarva Discovery Tours, includes all tasting fees, local door to door transportation, snacks, water and photography. Choose from a private Guided Kayaking, Paddleboarding or Paddleboard Yoga excursion which includes a lesson, a guide, all gear and photography. This is provided by Delmarva Board Sports, our sister company, located in Dewey Beach and is within walking distance if you are staying in Dewey Beach. 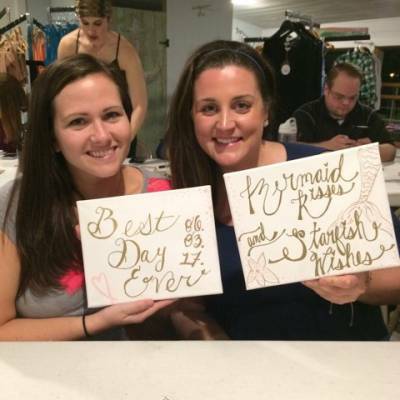 Paddleboard Yoga is provided by Dewey Beach Yoga and is customized for bachelorette groups with lots of special touches such as a complimentary momento for each member of the bride tribe and a special gift for the bride to be. A 2 hour customized creative workshop such as a customized wedding theme or home decor sign painting or a calligraphy workshop. Ultimate photo upgrade package for all members of your group. All reservations made for your party. We take care of everything for you. All for $185 per person. Package does not include gratuity for your driver, watersports instructor or workshop instructor. Gratuity is customary at 18% - 20% and can be prepaid if desired. Outside of the Rehoboth/Dewey/Lewes area, there could be a transportation upcharge of $10 pp. Note: If wind gets in the water of the paddleboard yoga session, yoga will be re-routed to the beach ocean side. If rain gets in the way, we will re-route indoors.